We live in a multicultural world, and these days, often a multicultural neighborhood. Multilingual websites used to be only for large, international companies. These days, if your website is only in English, you are ignoring a substantial percentage of your available market. Whether you are a retailer, a baker or a restaurant, you need a multilingual website to capture 100% of your potential clients. Avada Experts build custom, easy-to-use multilingual websites using the Avada theme, tailored and translated perfectly for your target audience. Our Avada Multilingual sites are easy to edit. Thanks to Avada and WordPress, your new multilingual site will be easy to edit and maintain. Each translation of each page and post is accessed through one dashboard. Easily edit URLs, titles and content for all of your translations without working in multiple editors. With just a few clicks, you can switch languages, edit content, and publish. Our US-based Avada support team works only on the Avada theme. Our translation support is native to the translated language. What does this mean to you? It means that your site will connect with your target market. Many multilingual developers use native-English speaking translators or translation software. Not only is this ineffective, it is quite often offensive to the market you are trying to reach. Want to give us a try? Contact us for a special discount on your first Avada Theme support ticket! 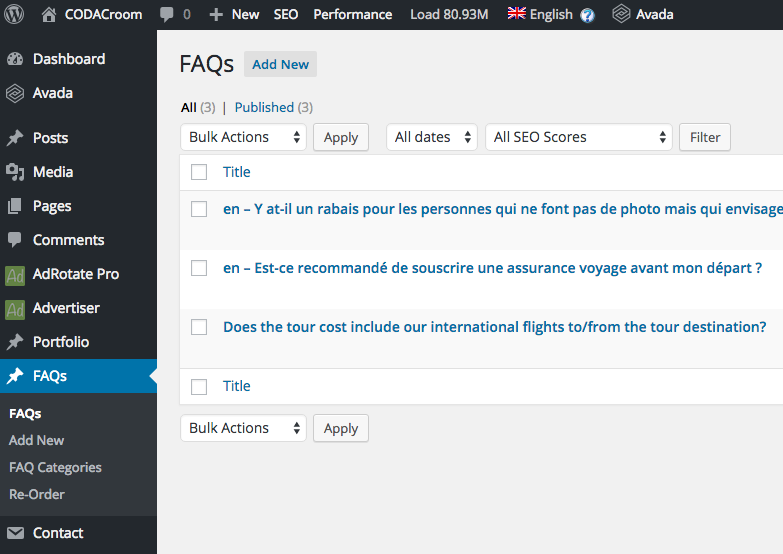 Before you actually undertake a task as difficult as actually building an Avada multilingual site, there are some key questions that you need to answer so you can decide exactly what you need, and how your new site will be designed. It is always easier to spend a little more time planning, as making changes to multilingual site design can often mean starting over. Consider the following before you start building your site. How is your organization and marketing efforts structured? Do or will you market differently by region or country? What percentage of your potential client base does not speak English? Are you marketing only within the United States or is this a global effort? Does your company operate under the same brand worldwide? Do your products and services vary by language, ethnicity or country? We get started by asking questions and listening to your needs. Our US based team manager is available at all times to make sure we can meet your needs and expectations. We go over every detail of your project to find the keys to success. You will see your ideas come to life as our designers begin to define and plan every last detail. Our designers deliver cutting-edge, responsive websites that accomplish your design goals while funneling new traffic and converting that traffic into new sales. We have the very best designers and developers, working as a team, to bring your new project to life. From custom code to creative plugins, we know what it takes and we bring it. Seeing your new project go live is exciting, but it is just the beginning of the journey. We handle everything, from maintenance to hosting to customer support, so you can focus on your business. Our Avada Team Can Also Take Care of Your..
Our Avada theme portfolio speaks for itself. We do nothing but Avada, and it shows. From idea to launch, we are here with you the whole way. Want Avada WPML multilingual? Our Avada sites are translated and SEO optimized for maximum results for your business. We provide concierge Avada theme support with live voice or chat, no more submitting tickets and hoping that support gets it right, no more waiting. Need an Avada WooCommerce site? We have delivered over 33 Avada Woo sites in the last 12 months. Let us help. 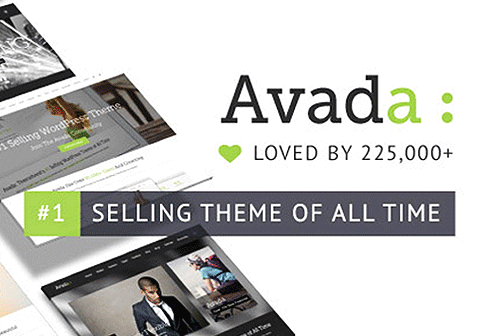 Want the fastest Avada theme hosting available? We only host Avada, and we are designed to make your Avada site as fast as possible. - Rated 4.9 / 5.0 for WordPress Multilingual sites by 32+ Multilingual website clients on 43+ Projects.